It is good to see that road trips –as distinct from the expedition, the field trip or travel photography –have started to become popular amongst Australian art photographers as distinct from the American road trip tradition, which largely happened after 1945 with its myths about driving west in the car to The Promised Land. We can begin to think in terms of a photographic tradition of road trips in Australia as a genre: one that is framed by the modernists as the act of being on the road; the art of individuals–the lone photographer– producing discrete works; and the photograph as a self-contained work of art. The road trip is a part of a dream of being on the open road; the photography is an existential act of wrangling with an alien world, mastering it by anthologising it, and giving unique insights into what lay behind everyday appearances. The road trip genre tends to be biographical and personal. A starting point for constructing this tradition, given the decline in the curatorial interest in photography in the 21st century, would be the 2014 exhibition, The Road: Photographers on the move 1970-85 exhibition at the Monash Gallery of Art, even if it was confused about what constitutes a road trip–Robert Rooney photographing the same car in different locations around Melbourne–with its reference to the serial propositions of Ed Ruscha such as Twentysix Gasoline Stations (1962)—is not a road trip. The 1985 cut off date meant that the exhibition did not include the latter road trip work by Trent Parke, Narelle Autio or the work of David Marks. I am slowly working away on a road trip project and posting the images on my On the Road Tumblr blog. There are some more from the 1980s on my archival blog. Even though it is envisioned to be a book, this project is based on several trips and it currently has no title or theme. Liquid Moments? Oddly Squared? No Maps, No Plans? Easy Roads? Dark Lies the Road? 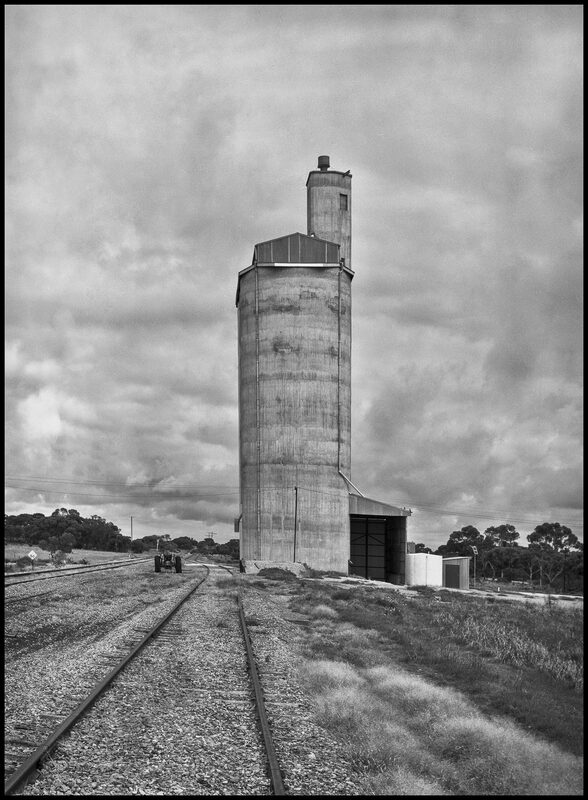 The image below of an altered landscape in the South Australian mallee is from the archives, and it one of the earliest of my road trip photos. The South Australian photographer Che Chorley has a book in production from his 2016 Land Sea You Me road trip (bike trip) from Eucla in Western Australia to Nelson on the Glenelg River in Victoria. The Melbourne based Nathan Stolz is on his six months A Long and Winding Road road trip to explore and probe Australian identity and cultural difference in the the early 21st century. My work in the The Long Road to Lajamanu works within the road trip tradition. There may well be other art photographers who have archives of road trip photos and/or are working on contemporary road trip projects in Australia that I don’t know about. Eric Algra comes to mind. However, these proto-roadtrips have not theorised what the Australian roadtrip stands for within the Australian photographic tradition. My own road trip photo project, for instance, is quite different from the 1970s idea of the road of adventure, freedom, self-discovery and fun as expressed in Wes Stacey’s The Road 1974-75. That period strikes me as working within, or in the shadow of, the American experience of being on the road as established by Robert Frank in The Americans. At the very least, the Australian experience would recognise that the Australian ‘Outback’–the back of beyond –of the colonial narrative is one where the myth of emptiness became central to the European constructions of the Central Australian landscape. This refers to the numerous explorers in the desert outback who were in search of a fabled inland sea and experienced the land as a Gothic space of imprisonment. It shows how European conceptions of space and nature still frame Australian culture in the sense that images of mythic landscapes have helped create a national identity for a colonizing settler society that has both recoiled from the alien and inhospitable land and sought its own national future and identity in its distinguishing features. The ‘Outback’ is an imagined realm, that exists against a backdrop of cultural memories and horror stories. It is a site of myth making and the product of myth, and is is a text densely layered with feelings of dread, the uncanny, existential angst caused by venturing too deep into the unknown–eg., the death of Peter Falconio near Barrow Creek on the Stuart Highway in 2001, or the attacks at Salt Creek in the Coorong in 2016. 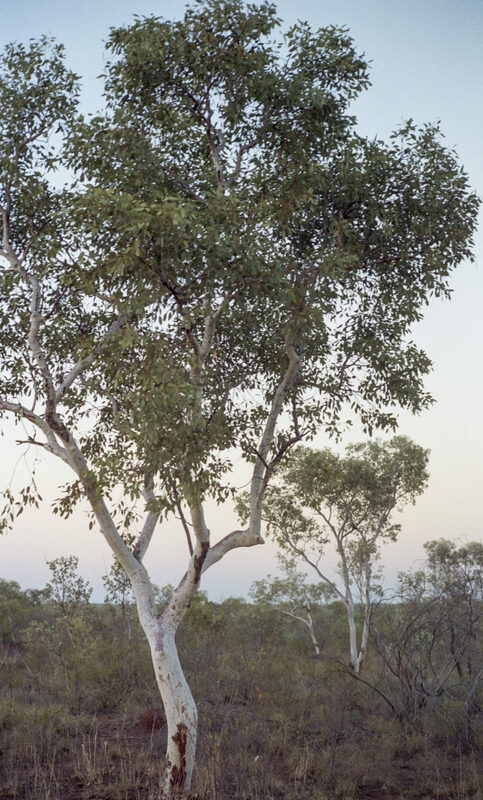 The ‘Outback’ is a text about a hideous absence or a meaningless, dangerous void, and it shows how European conceptions of space and nature still frame Australian culture and shaped Australia’s self-perception of the desert landscape. Roughly speaking, the abrupt encounter between Europeans and a harsh and strange landscape created a sense of derangement and disorientation that lingers in contemporary visions of the land and nature. Landscape is not the land, but an impression of the land, and what is impressed on to it; it refers to the mapping of space through language and ideas, then the Outback was a site of ‘other’, defined in opposition to the stability and comfort of the civilised cities on the coast. It signified the fear of a silent interior, where brave explorers regularly died and the trauma associated with the dead heart is part of the fabric of the myth that is intrinsic to the Outback. It is is a violent and chaotic space, defined predominantly through its opposition to the coast with its comforts of civilisation and order. 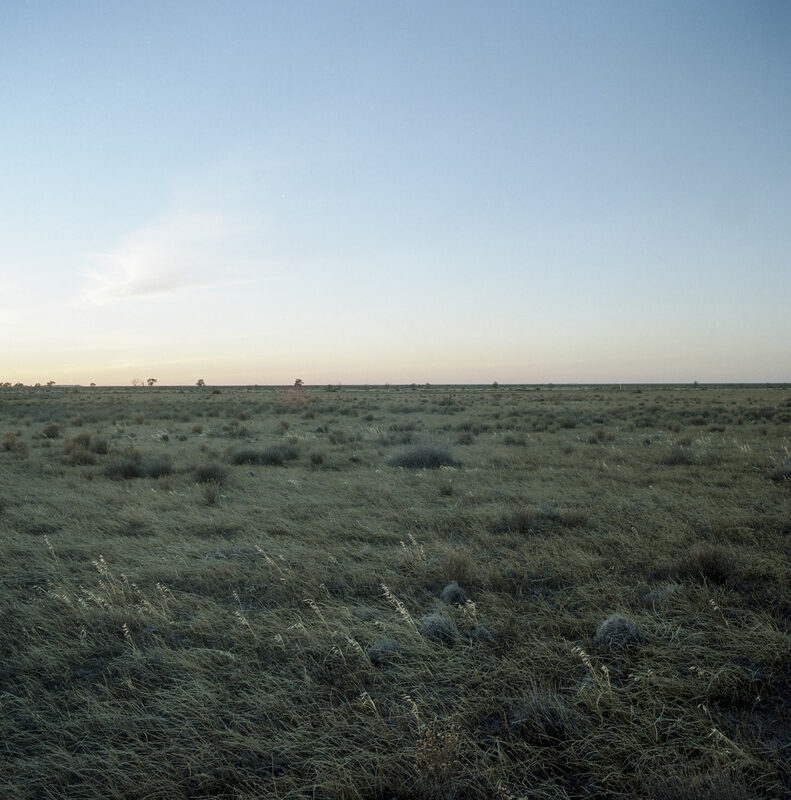 Hence a reference to the desolate landscapes in the still photography of Wim Wenders –eg., in his 4Real+True2 book –is an crucial one, given the existence of the Australian badlands that have become the sites of post-apocalyptic landscapes as in Wim Wenders’ film Until the End of the World (1991); Greg Mclean’s 2005 horror film Wolf Creek; or Jane Campion’s Holy Smoke (1999), which reworks the conventions and elements of Gothic tradition’s landscape representation as a reflection of a state of mind, a mirror to the psychic turmoil of her central heroines as well as the cultural tensions in antipodean nations. There are two differing approaches to the photographic road trip tradition. One is informed by conceptual art (characterised by an initial instruction and then the implementation) as in Shane Hulbert’s Photographing the Altered Landscape (2012), which was the dominant international art trend of the 1970s. The other approach is a more collaborative roadtrip along the lines of Mickey Allen’s My Trip through rural Victoria, in 1975. The impact of conceptual art on the road trip tradition is that in the journey across Australia in the car, photographic artists have not forsaken traditional genres such as landscape, but they have rejected some of the colonial ways of seeing and depicting landscape: as an heroic or romantic setting, as possession, panorama or property. Contemporary photographic road trips need to be a post-Mabo photography that responds to the Aboriginal Land Rights movements with a more sensitive approach to thinking about co-existence, the contested nature of land and its meanings. So they become a cultural critique of the ways in which white Australians have created national fictions of landscape and nation. Great work Gary. I am falling this research with a keen interest and may even revisit my own archives to see what eventuates. I should have read the introduction to the American Roadtrip book published by Aperture–that is, ‘The Open Road: Photography and the American Road Trip’ that was curated by David Campany and Denise Wolff when I was at your place Stuart. The ‘Introduction’ is not on the internet, so I don’t know how he conceptualises the photographic road trip or its purpose. I do recall though, that David Campany chooses Robert Frank’s The Americans as the starting point for his critical journey into the photographic road trip.